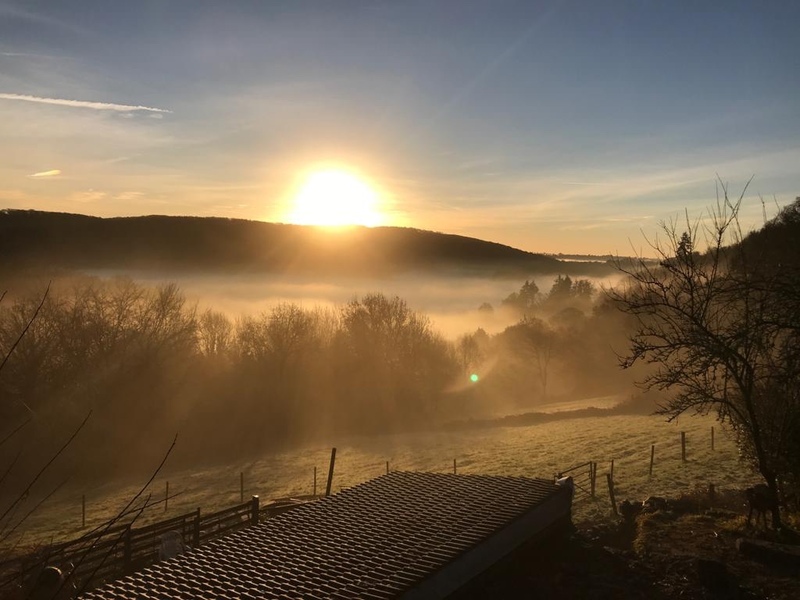 Take time out to retreat to the forest and nurture your wellbeing at the stunning Hill Farm, Tintern. Hill Farm is a 15-acre smallholding overlooking Tintern and The Wye Valley comprising woodlands, paddocks and streams. It’s the perfect location to get away from the stresses of daily life and take time out for yourself to rejuvenate the body and soul. Terms: £20 deposit to secure your place and £50 due 2 weeks before. Deposits non refundable and balance non refundable once paid. Hayley and Tom Court will look after you throughout the day. We have been running Forest Retreats for 4 years and have received excellent guest feedback. We provide all food and activities, and guarantee you will leave the day feeling happy and nourished. Yoga and Massage– Hayley will nourish your body and soul with a with a yoga practice combining strong movement, balances and an extended relaxation. The yoga is suitable for all levels including beginners as we can make adjustments to our postures and make sure you are strong, comfortable and steady. Shinrin Yoku (The Japanese art of Forest Bathing) – Our trained forest guide Tom will take you on a sensory and mindful experience in the woodlands. This introduction into forest eco therapy will give you a feeling of connection with the natural environment and give you some ideas so you can practice on your own after you leave. 3-5pm Time to relax in our outdoor Eco-Spa. Massage treatments available. Tea and Cake available.